Lower limb (LL) and especially knee injuries are a very common presentation within the ED, but in the acute phase can be difficult to give a definitive diagnosis and an appropriate treatment / referral plan. 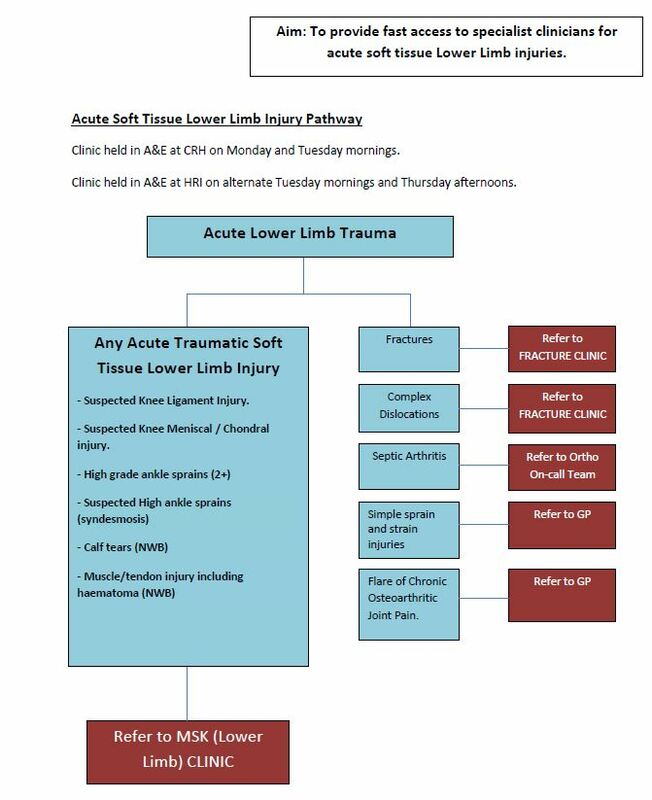 With this in mind we now have a new referral pathway for LL injuries. This is for the secondary assessment of acute presentations, rather than chronic conditions needing extended or intensive physiotherapy. Remember we also have advice leaflets for simple, ankle sprain, knee sprain, and calf injuries.